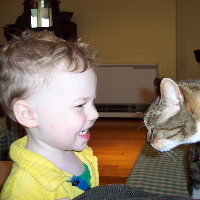 Zachary and Erasmus facing off: April 2003. Happy second birthday, Zachary! Here’s to many more happy years of growing up.